William Nathaniel Thring, usually known as Nathaniel, was born in Milborne Port in 1840. His father is unknown but his mother was Susan/Sabina Thring (1808-1867), the daughter of Ann Thring (b1781). In the 1841 census Ann was listed as a Linen Weaver and Susan as a Gloveress but by 1851 Ann was a 78-year old pauper and the rest of the household were listed as her children although, apart from Glover Susan/Sabina, clearly they were her grandchildren; Henry (b1830), Nathaniel (b1840), Emily (b1843), Lucy (b1846) and Augusta (b1849). Since all three generations had the surname Thring, it would suggest that all of Susan's children were illegitimate. In the spring of 1861 Nathaniel married Mary Ann Luffman (b1839) in the Wincanton Registration District (either at Milborne Port or Charlton Horethorne) . Born in Marston Magna, in the 1841 census Mary was living in Charlton Horethorne, in lodgings with her father Israel Luffman (1801-1873). In the 1861 census Nathaniel and Mary were listed living in a cottage at Charlton Horethorne and both gave their occupations as Glovers. Living in the cottage next door was coal seller Israel Luffman. In the autumn of 1871 Nathaniel married Emily Ann Hedditch (1839-1928). They were to have six children: Sydney Theodore (1872-1946), Vaultier Fred (1874-1902), Ada Augusta (1876-1960), Ernest Ethelbert (1878-1898), Amy Flora (1880-1937) and Archibald Scot (1882-1933). By 1875 Nathaniel had moved his family to Yeovil and had gone into partnership with John Luffman, a cousin of his first wife. The new company was listed in the Post Office Directory of 1875 as "Thring, Luffman & Co, Glove Manufacturers of South Street". However, according to the notice placed in the 4 December 1874 edition of the London Gazette (see below), the partnership was dissolved almost as soon as it had been formed. In the 1881 census the family were listed at 9 Peter Street and Nathaniel gave his occupation as "Glove Manufacturer". By the time of the 1891 census (in which Nathaniel was listed as "Walter N") the family were living at Rockmount, 44 Hendford Hill, where 50-year old Nathaniel and his 23-year old son Robert both gave their occupations as Glove Manufacturers while 26-year old William was an Engineer. In the 1911 census Nathaniel, Amy and daughter Amy, together with their grandchild Dorothy and a domestic servant, were still living at Hendford Hill. On 31 May 1915 Nathaniel died in Yeovil, aged 75. His will was published in July and his effects totalled £15,429 10s 3d (just under £7million at today's value). Emily died in the spring of 1928, aged 89. John Luffman was born in 1851 at Poyntington, Somerset. He was the sixth of the nine children of Miller & Baker John Luffman (1815-1885), originally from Charlton Horethorne, and Sarah Ann née Bartlett (1819-1874). In the 1851 census John, Sarah and their children were all living at Poyntington but by 1861 they had moved to Kingsbury, Milborne Port and 10-year old John was listed as a scholar. By the time of the 1871 census John was working as a Glover. By 1875 John had gone into partnership with John Luffman, whose first wife was John's cousin. The new company was listed in the Post Office Directory of 1875 as "Thring, Luffman & Co, Glove Manufacturers of South Street" but, as mentioned above, the partnership was dissolved almost as soon as it had been formed. On 12 January 1876 John married Amelia Augusta Lemon, eight years his junior, at Long Sutton. They were to have six children; Theodora Alice (1878-1901), Reginald John (1880-1961), May Gertrude (b1883), Margery Evaline (1885-1965), Nellie H (b1887) and Harold Lancelot (1895-1968). By 1881 John and Amelia, together with Theodora and Reginald, John's sister Bessie and a domestic servant, were living at 20 Sherborne Road, Yeovil. 30-year old John gave his occupation as a Glove Manufacturer. The situation was identical in the 1891 census but with the addition of May, Margery and Nellie, together with an extra servant. By 1901 the family had moved to Hendford Hill, just a few doors along from the Thring family. At this time all six children were living at home. John gave his occupation as "Leather Glove Manufacturer" while his son Reginald, now aged 21, gave his as "Leather Glove Factory Superintendent". In the 1911 census only John, Amelia, daughter Margery and a servant were living at home. John gave his occupation as a Retired Glove Manufacturer. Amelia died in 1932 and John died in 1936. Thring, Luffman & Co was the company formed by Nathaniel Thring and John Luffman (a cousin of his first wife), during the early 1870s.The company was listed in the Post Office Directory of 1875 as "Thring, Luffman & Co, Glove Manufacturers of South Street". However, according to the notice placed in the 4 December 1874 edition of the London Gazette (see below), the partnership was dissolved almost as soon as it had been formed. 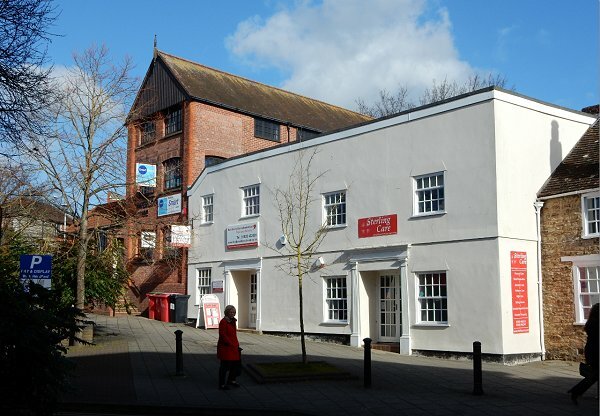 It is thought that, despite having ended their earlier partnership, Nathaniel Thring and John Luffman had re-formed their partnership in the early 1880s in time for them to be joined by Herbert William Southcombe (1859-1944, of the noted glove manufacturing family of Stoke sub Hamdon and later Mayor of Yeovil in 1889-90) - see next. By 1881 Herbert William Southcombe had left home and was listed in the census at 24 Sherborne Road, Yeovil, with a housekeeper. Herbert was 22 years old and listed his occupation as Glove Manufacturer. In fact he had joined the company of Thring & Luffman, which then became Thring, Luffman, Southcombe & Co. The company was listed in Whitby's Yeovil Almanack Advertiser of 1882 as Glove Manufacturers of 64 Reckleford. The company was still listed in Whitby's edition of 1903. Herbert Southcombe had left the company by 1907 and by 1911 had retired to Brighton. 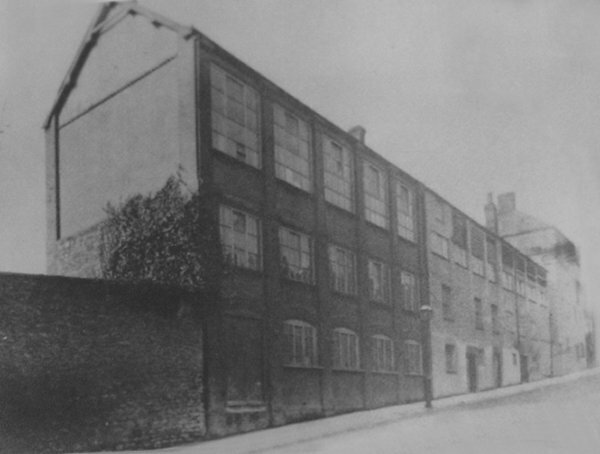 In truth it is not really known which of the Thring brothers ran this company of glove manufacturers based in Waterloo Lane (see Gallery below) although it was most likely sons of William Nathaniel Thring above and certainly Sidney Thring was a glove manufacturer and the mainstay of Thring & Luffman during the 20th century. The earliest mention of the company was in Whitby's Yeovil Almanack Advertiser of 1903 which simply listed "Thring Brothers, Glove Manufacturers of Waterloo Lane". This listing was repeated in Collins' Yeovil Directory of 1907, Kelly's Directories of 1919 and 1935 and, finally, in Edwin Snell's Directory of 1954. Following the departure of Herbert Southcombe, the company reverted to Thring, Luffman & Co of Reckleford, as listed in Collins' Yeovil Directory of 1907. But this was probably the final years when the company was being run by Nathaniel Thring and John Luffman. John Luffman had retired by 1911 and Nathaniel Thring died in 1915 so the new company, called simply Thring & Luffman, was run by Reginald Luffman and Sidney Thring. It was first mentioned in Kelly's Directory of 1919 with two listings; "Thring & Luffman, Glove Manufacturers of 64 Reckleford" and the "Thring & Luffman Dressing Yard in Brunswick Street". The double listing was repeated in Kelly's Directory of 1935. In 1954 Thring & Luffman were listed as Glove Manufacturers of Reckleford in Edwin Snell's Directory and the same directory also listed Thring & Luffman Ltd as Leather dressers of Reckleford. The last trade directory entry was in Foord's Directory of 1964 which simply reiterated "Thring & Luffman, Glove Manufacturers of Reckleford". The notice placed in the 4 December 1874 edition of the London Gazette noting that the partnership between William Nathaniel Thring and John Luffman was dissolved almost as soon as it had been formed. 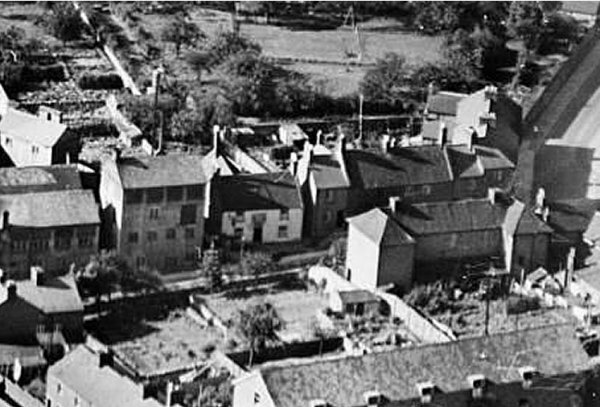 An aerial view taken in 1928 showing the Nag's Head Inn (white building at centre) facing Reckleford with Court Ash Terrace just visible at the right hand edge of the photo. 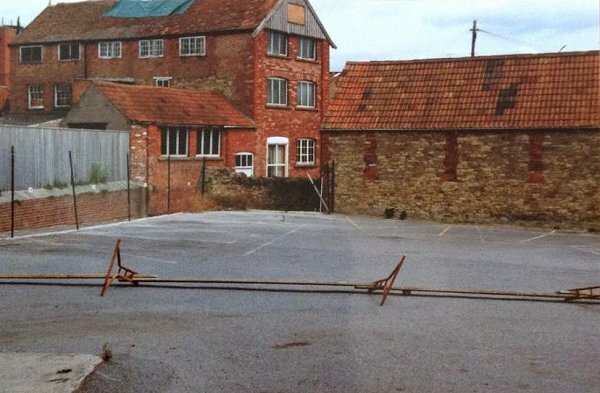 Note the glove factories of Thring & Luffman to the left of the Nag's Head - now all roughly where the Reckleford central reservation is, just in front of the large vacant plot that was the cattle market. 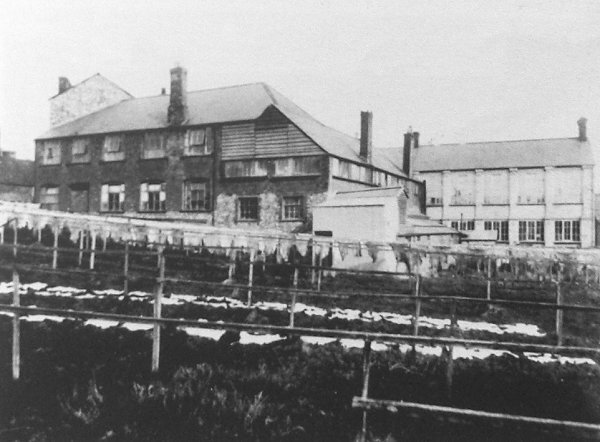 The Thring & Luffman glove factory, seen from Reckleford. Chamois skins drying in the air behind Thring & Luffman's Reckleford glove factory. 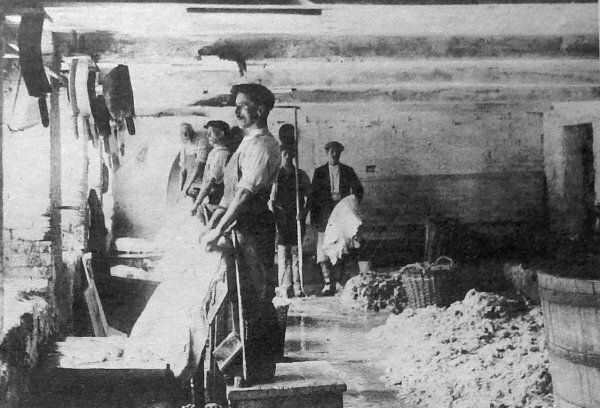 Workers in the Thring & Luffman factory preparing skins. 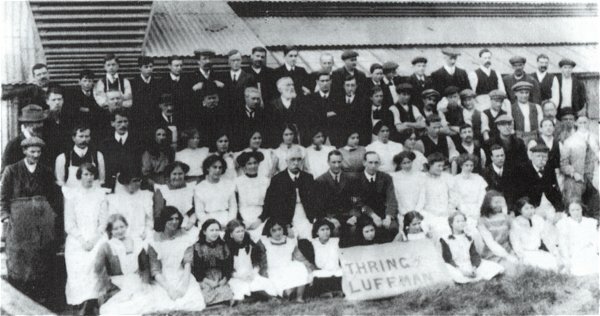 Workers of the Thring & Luffman factory pose for a photograph around 1912. 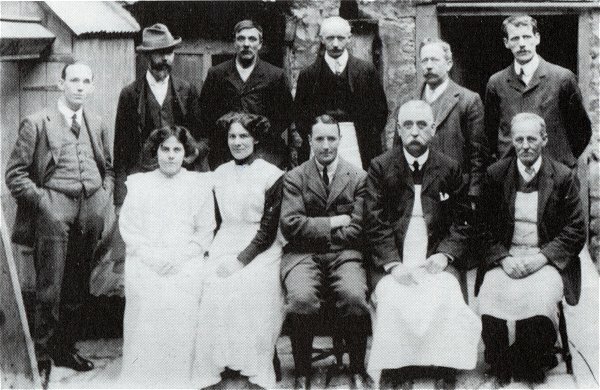 Staff of Thring & Luffman around 1912. Back row - Mr Spearing, Mr Geake, William Badland, Arthur Hillard, Frank Palmer. Front row - Miss Florence Major, Miss Rose Brown, Reg Luffman, Henry Hiscot, Mr Wills. 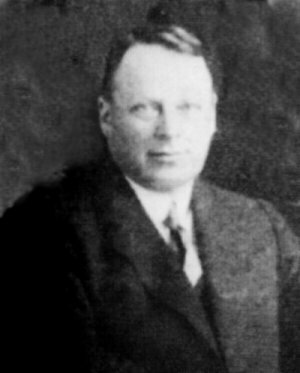 Reginald John Luffman (1880-1961), enlarged from the previous photograph. 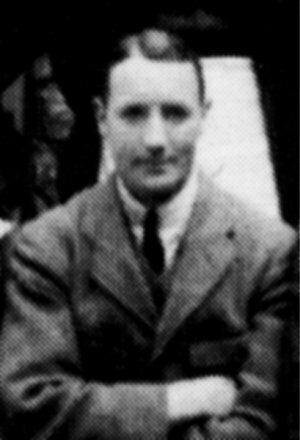 Sidney Theodore Thring (1872-1946) photographed in 1924. Buildings in Waterloo Lane, including the old Thring Brothers' red brick glove factory now called Waterloo House, photographed in 2015.